Recombinant protein corresponding to full length human MIF. 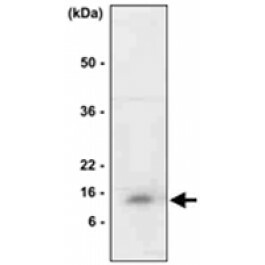 ELISA,WB-Ce, Western blot: 1:500 ~ 1:2000. Recommended starting dilution is 1:1000.